Give your child the opportunity to experience the wonderful world of dance, friendship, learning and achieve amazing results at this age - Great energiser after school! This is an exciting phase for your child’s development, we look forward to introducing them into the wonderful world of dance!! During this phase, the children are at an age where they are ready for discipline and still ever so eager to learn. It’s good to see the children being able to persist and to ‘stick it out’ the whole year when it’s also often their first year of school. Occasionally some children can get a little tired, yet the program anticipates this and they’ll usually quickly get over it. We make sure they are fun and our classes are uniquely designed to ensure we’re subtle about when we put in the disciplined work in order to maintain their interest and get the best results for your child. Also a great ‘refresher’ after school. WHAT HAPPENS IN OZ KINDER DANCE? CLASSICAL BALLET - Is an introduction to formal ballet. Children choose to either do a 30min Intro Ballet or a 45min Ballet Class where they spend a little more time developing physical skills. Ballet will help body awareness, self-control, coordination skills and balance improves tremendously. In addition to its physical benefits, ballet can also help to improve children's mental and emotional health. It is a great starting point to dance. 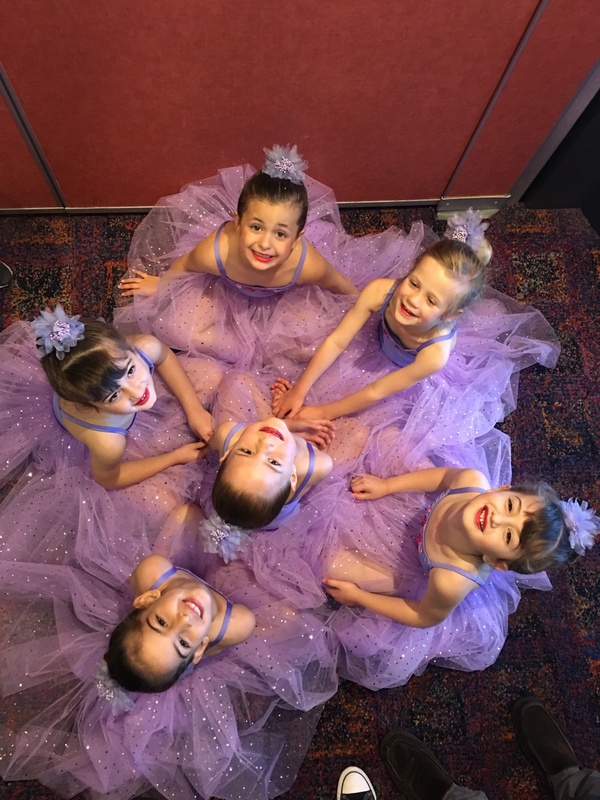 JAZZ/COMBO DANCE – Offering children an opportunity to experience the fun of dance with a variety of styles: Children choose to either do a 30min Intro Jazz or a 45min Combo/Jazz class. The different steps and routines ensure that they will be actively improving in this aspect of their development. The Combo/Jazz includes Jazz; Singing; basic Tap and Gymnastics. Mid Term Enrolments are pro-rated. No need to pay for the full term. ​PLEASE NOTE: The Term Fee covers Insurances & Admin fees for the entire time the child is enrolled with us. No extra term or annual fee!!. A fee of $25 will be charged to payments made after 1 week of commencing following the term of enrolment. Fees are calculated on a yearly basis, and will remain the same each term. For students commencing during the term, fees will be calculated from the week they commence. Missed classes are not refundable however they can be made up within the same term. With many years of working with this age group and trying out different options of attire, various outfits have caused too many distractions. We have designed a practical leotard for the girls that can be worn for all levels. We will have specific skirts required for this level of ballet for students on loan from us each lesson. White fitted t-shirt/skivvy, purple or black bike shorts (long for winter) white sox & black ballet shoes. White fitted t-shirt/skivvy, black or purple bike shorts (long for winter, no trackies) white sox & black jazz shoes.